Discover who we are, our mission, and our values. Read more to learn about what we have to offer. 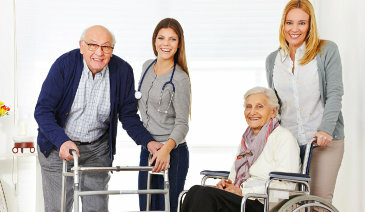 Angel Care is a nationally recognized agency that provides care services to elderly patients in the comforts of their own home and staffing services to understaffed facilities. It is our goal to provide patients with top-notch assistance to help them with their day-to-day activities. It is our mission to provide skilled professionals to understaffed facilities and deliver healthcare services to elderly patients in the comforts of their home. Our team is dedicated and committed to rendering multidisciplinary care to ensure your health needs are properly addressed. Angel Care is composed of registered nurses and professional caregivers who are committed to delivering high-quality healthcare services that are tailored-fit to our clients’ unique needs. The involvement of a patient and their caregiver is crucial when providing healthcare services. Professionals must regularly check their patients on their health progress and make sure they can be independent in accomplishing their everyday tasks.